Medibank is trialling haemodialysis services at home to increase choice and convenience for our members with chronic kidney disease. Typically, people who require haemodialysis spend an average of four to six hours in hospital for dialysis treatment, three to four times each week. It’s not difficult to imagine the burden this puts on individuals and their carers. Haemodialysis uses an artificial kidney machine (or ‘dialysis machine’) to receive blood from a patient, put it through a dialyser to remove unwanted waste and then pumps it back to the patient. The dialyser is cleaning the patient’s blood, similarly to how a healthy kidney would. We are exploring ways to provide our members with more options, including the flexibility to have nurse delivered haemodialysis in the comfort and familiar surroundings of home, where their treating doctor considers it appropriate. A two year trial commenced in April 2018 in Victoria1, New South Wales2 and Queensland3. To take part, members must have eligible hospital insurance, which must be up-to-date and include dialysis services, and have approval from their treating doctor. Members will also need to have served the required waiting period. 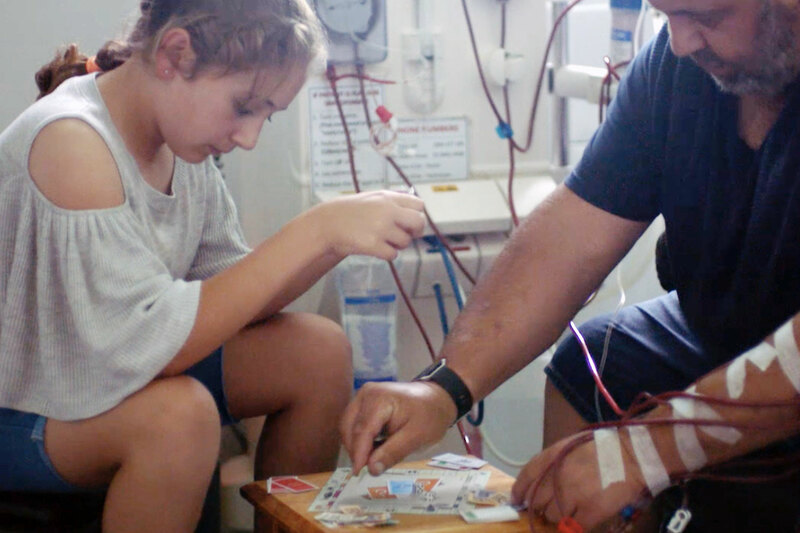 Medibank funds the service, which is delivered by a provider of home-based haemodialysis. However, if you need additional treatment, such as diagnostic tests or a follow-up with your specialist, there may be some related out of pocket expenses. As with any treatment, it’s best to call us on 1800 065 769 first to check what’s included in your cover. Jane* is a 52 year old woman who lives with her husband and two teenage children. She worked as an IT project manager for many years but has recently been forced to leave the workforce due to a series of health issues. Up until recently, Jane required dialysis three times a week at the local hospital with each dialysis session taking five hours. Her husband had been taking Jane to and from the hospital as she is no longer able to drive. Later this year, Medibank will evaluate the trial and decide whether to fund the service nationally. In the meantime, this trial gives eligible members more choice. It will also support achieving a more sustainable healthcare system. To find out more about the trial, including if you are eligible, or if your doctor isn’t sure if Dialysis at Home is available where you live, call the Medibank at Home team on 1300 733 338 between 9am and 4pm AEST, or email medibank.home@medibank.com.au. In Victoria, the service is available in metropolitan and outer Melbourne and in regional areas such as Bendigo. In New South Wales, the service is available in metropolitan and outer Sydney and in regional areas such as the Blue Mountains, Port Macquarie and Tamworth. In Queensland, the service is available in all areas of metropolitan Brisbane as well as Cairns, Townsville, Gold Coast and Sunshine Coast.